Monitors progress in achieving project objectives. Evaluates program effectiveness, through the design and implementation of monitoring and evaluation instruments, and determines corrective action needed to enhance program implementation and impactful results. Maintains regular contact with staff & consultants. Establishes leadership and personal credibility and implements and maintains clearly understood chain of authority and accountability. Visits project sites and provides direction and informs the Program Director of progress, issues, challenges and concerns; makes recommendations; and implements decisions. Assists with recruitment and orientation of new staff. Identifies and utilizes opportunities to improve technical capacity of staff and provides Technical Assistance backstopping when required. Works in coordination with the Program Director to build and/or maintain constructive relationships with government officials, project partners, environment sector leaders, donors/collaborators, and others as appropriate. Works with the finance team to ensure timely, cost-effective, and procedurally correct procurement and transport of goods and services to meet project objectives. Ensures adequate programmatic reporting to donors by collecting information and preparing detailed work plans, quarterly and annual performance reports, evaluations and other reports as required. In coordination with the Program Director, organizes and facilitates Stakeholder Review meetings and other ad hoc meetings with stakeholders and partners as necessary. Works closely with the Finance Director, closely monitoring project expenditure and cash flow. Keeps Program Director apprised of significant variances. Ensures accurate and timely technical and financial reports to donor(s) and JGI management. Assists in managing grant/project budget within approved spending levels. Ensures grant/project expenses are reasonable, allocable, prudent, and spent in accordance with donor rules and regulations. Supports auditing procedures as needed. Assists in monitoring grant management, subawards, service agreements or contracts, meeting with NGO subcontractors regularly for updates, planning, and problem-solving. Collaborate with the Senior Human Resource Officer in conducting staff performance reviews, and other staff evaluation. Assists Program Director with property and equipment acquisition, disposition, and management in compliance with donor requirements. Other relevant tasks as assigned by the Program Director. Serves as Acting Program Director when the Program Director is unavailable. At least a Bachelor’s degree in natural resource management, conservation or a related field. At least five years’ experience managing complex integrated, multi-donor funded projects, preferably in Tanzania. Experience supervising professional and support staff in a multicultural, multi-linguistic environment. Demonstrated performance as a decision-maker with excellent interpersonal skills and capable of directing and managing change, inspiring teamwork and high performing teams. Demonstrated leadership in working with host country officials from the environment department, community, NGO/FBO/CBO sectors. Proficiency in Microsoft Office tools, such as Word, Excel and PowerPoint. Communicates clearly, oral and written, in English and Kiswahili. 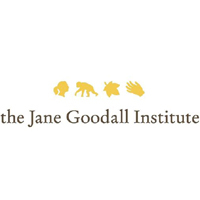 All suitably qualified candidates should send a resume and cover letter to africajobs@janegoodall.org and include the title ‘Deputy Director’ in the subject of your email. All resumes and cover letters must be submitted no later than Monday, May 14, 2018.